I don't do April fools, so you may read the following with confidence. A new Alberta EKOS poll was leaked/published at the end of last week that showed the race between the NDP and UCP had gotten significantly tighter in the past month. The Mainstreet Research daily tracker, although its numbers differ from EKOS, has also shown similar tendencies. You can find the full EKOS report here. The publicly available polls used for this Alberta Projection are listed on this page. Here is a non-April-fools April 1st 2019 Alberta update. 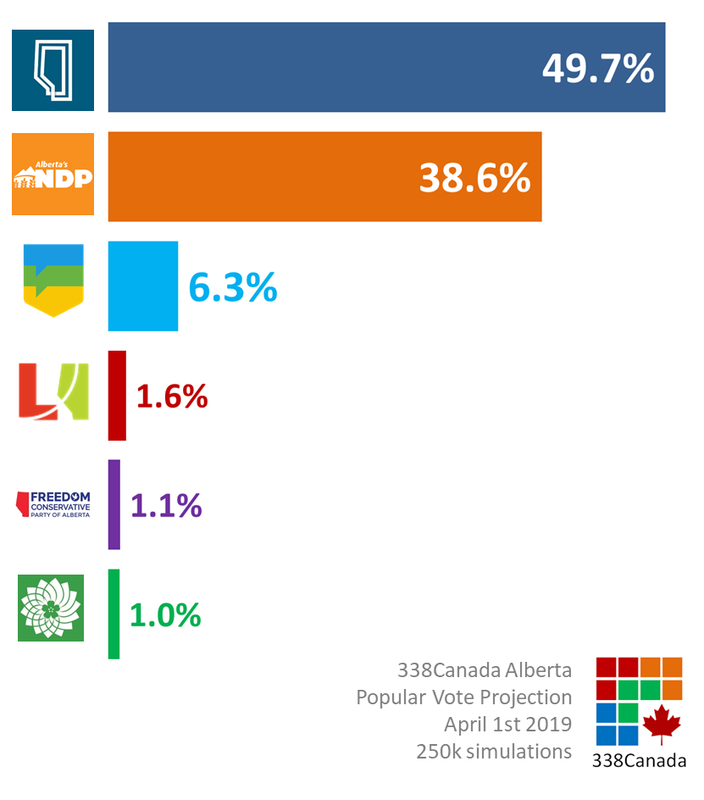 The United Conservative Party still leads the way with the support of just under half of Albertan voters, averaging 49.7%. Even though this average figure is down about two points from last week, this variation is still well within the current confidence intervals, and the UCP support has generally held steady since the campaign began. 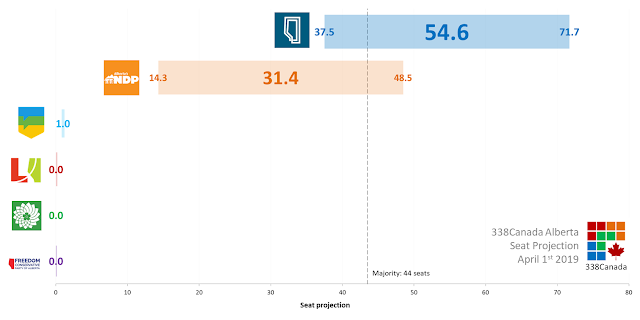 Rachel's Notley's NDP climbs again this week and reaches an average of 38.6%. 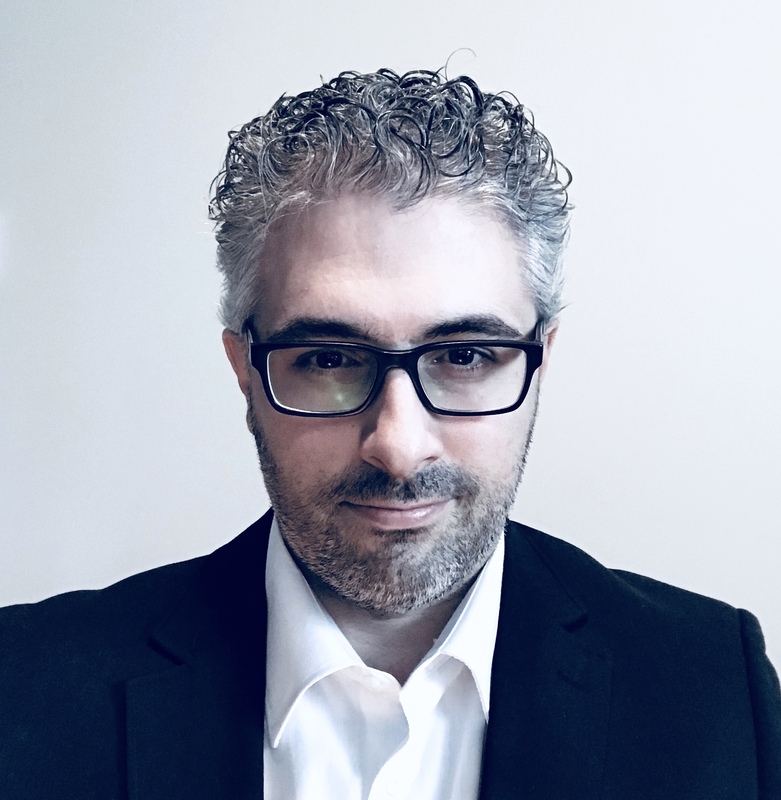 The NDP leads in Edmonton, is in a statistical tie with the UCP in Calgary, and trails the UCP by more than thirty points outside of the two urban areas (here are the links for Northern Alberta and Southern Alberta). 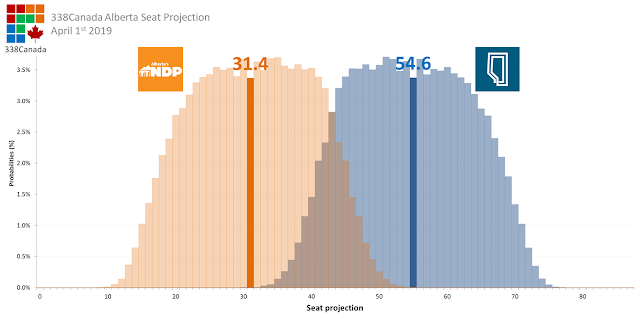 Even though its seat projection has dropped since the campaign began, the United Conservative Party is still leading the NDP as of this morning, averaging 54.6 seats per simulation performed by the 338 electoral model. The NDP's seat average goes up to 31.4, more than double its projection at the starting line of the campaign (see here). 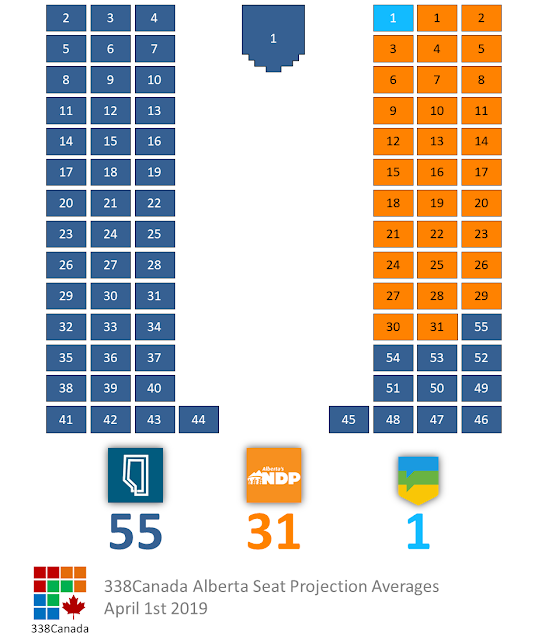 However, the NDP has a low ceiling of seats since its vote is so concentrated in urban areas. The path to victory for the NDP would be a complete sweep of both Edmonton and Calgary and some breakthroughs in rural areas. This scenario seems still far-fetched according to the current numbers, but still it is more plausible than it was two weeks ago. 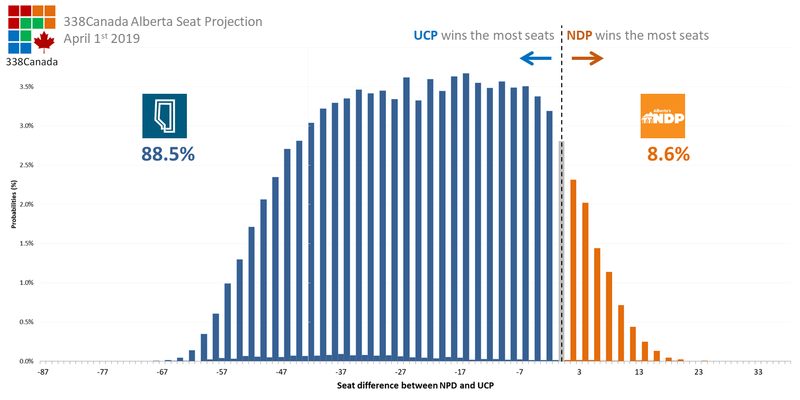 Here are the UCP and NDP seat projection probability densities. Notice that these curves now overlap each other somewhat. 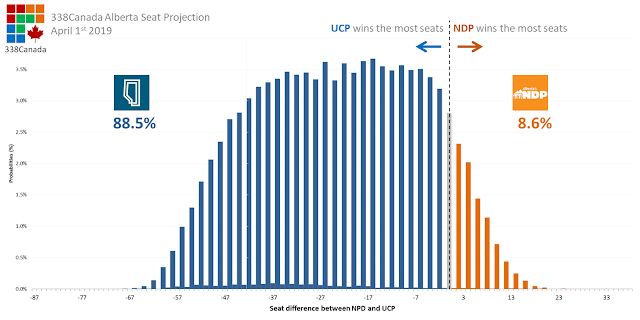 With these numbers, the UCP wins the most seats in about nine of ten simulations (88.5%). 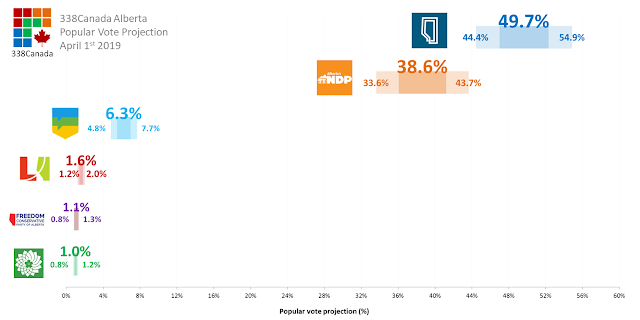 The NDP wins the most seats in only 8.6% of simulations, so the UCP is still considered a strong favourite at this point. New updates coming soon. As we get closer to election day, I expect more pollsters to be on the field. Have a great Monday and a great week. Thank you for sharing and supporting this page.